Rigid plastic sandwich box with detachable white lid. Available in light pink or light blue. The overall size of the box is 182 x 124 x 58 mm. Perfect for keeping your sandwiches in and separate from the rest of the food in the lunch bag. 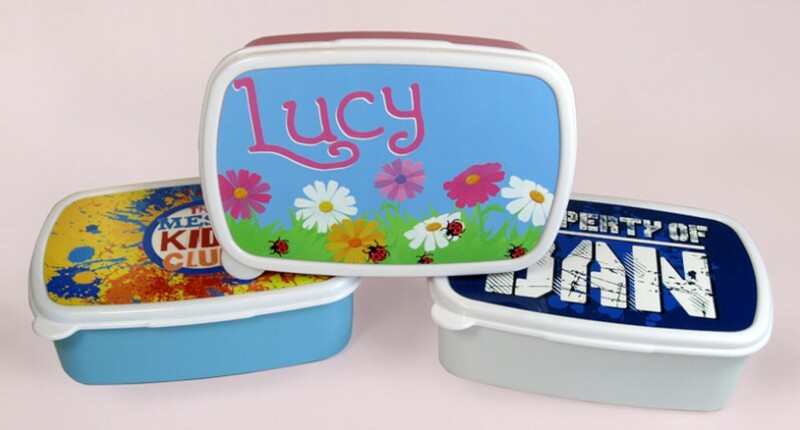 Personalised the lid of the box with your photos/images and add text too for no additional charge.